Maratek Environmental helps its customers solve their solvent waste disposal problems primarily through recycling or energy recovery routes. Maratek offers a unique range of standard and custom solvent recycling and recovery services to produce recycled products to the highest solvent specifications. Therefore the solvents can be used again at a fraction of the price of regular chemical solvents. Maratek also offers a competitive waste solvent acquisition service aimed at obtaining materials for recycling for sale back into the world market via a wide range of outlets. Maratek uses the residues from the solvent recycling processes, along with various organic waste, that cannot be economically recycled back into reusable products as a liquid fuel, used as a replacement for fossil fuels for cement kilns. Maratek is a market leader in solvent recovery through its ability to offer custom solvent recycling and recovery solutions to all types of customer needs. We can take a customer’s own waste solvent and processes it to meet an agreed high specification. The recycled material is then returned to the customer for re-use. Additionally our solvent recycling service seeks out sources of used solvents for re-processing into high quality recovered solvents that can then be re-sold. 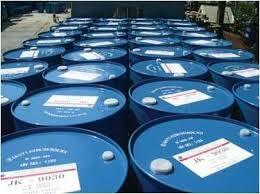 The type of materials we look for, and available for re-sale, include a wide range of solvents. Customers wanting someone to take away their own used solvents, or wanting to buy used and recovered solvents should contact us for further information. Maratek Environmental considers itself to be market leader in cost effectiveness when dealing with used solvents. This success is achieved by investing in the development of people, by regularly upgrading our ministry approved liquied waste depot, and ensuring the highest levels of productivity. Maratek has a waste collection service and uses its own ministry approved fleet of vehicles and highly trained and experienced company drivers, to ensure the safe transport of hazardous materials from any site in Canada. Maratek is a registered carrier of waste products and is fully conversant with all the necessary waste transport documentation. It has bonded facilities at its plant, approved by the Government of Ontario. Maratek will take full responsibility for a company’s complete waste management function.